One of the ways I practice showing up to my real, regular, beautifully ordinary life is by keeping track of what I’m learning along the way. I’ve done this for over a year now, following along at the encouragement of Emily Freeman (she started the idea of “What I Learned” posts). It sounds simple — and it is — but somehow it helps me view my life through a different lens. And this time, as I moved my “What I Learned” notes from my iPhone to this blog post, I took a moment to look back at February’s post of What I Learned This Winter… and let’s just say I shook my head and laughed. You’ll see why at the end. 1. Putting chips in a sandwich is a game changer. 2. Texting from your computer is so darn convenient. Way back when, the Messages application worked on my laptop. It was a sanity-saver during many late nights spent studying/writing/researching in the library. But then a few months after I graduated college, it randomly stopped working. No more updates, no messages coming in, nothing going out. My computer is old and incredibly temperamental, so I tried a time or two to fix the application and then gave up. How important was it, really? But then last month I decided I wanted it back because who doesn’t want to have their phone by them all the live long day? This girl. And let me tell you, it took all of fifteen minutes and suddenly texts were coming in and going out and it’s just so convenient, y’all. If you don’t know what you’ve got until it’s gone, you surely appreciate it when it returns. 3. Sometimes progress looks like chaos. And also… 3b. You can compare the inside of your closet to the state of your soul and people will understand. I put it off for over two months, quickly closing the closet door each morning while convincing myself it could wait another day. I made a dozen excuses until finally the only thing left to do was to actually do the thing. Of course, it didn’t begin that way. In February, cleaning out my closet was just another thing that needed to happen, a regular task as the seasons change. But then life-things happened that left me feeling incredibly human, acutely aware of my helplessness and lack of control. The last thing I needed was a semi-hidden mess to come spilling out, filling up the floor and covering the bedspread, taking over the small space I work and live and breathe and dream and sleep and process and create in. It’s where the living happens, and too much of life already seemed all over the place. It was too full. It held too much. And somehow I discovered I could relate to a closet. A few weeks ago, I awkwardly put words to all of this… and somehow, amazingly, you kind people understood. 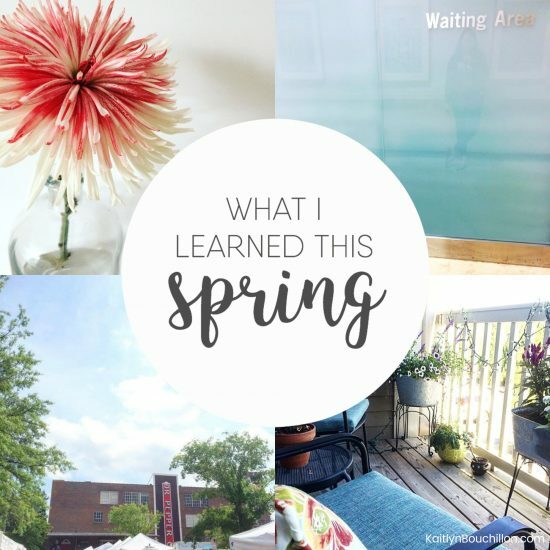 This spring season was far from smooth (see #6) but lessons were learned along the way. Stepping back to take a deep breath before digging into the work is not the same as taking a step backwards. And sometimes progress looks like chaos. 4. When I’m stressed from trying to control something, I am not living in my role. Mic drop, right? What a thought and what a thing to pray… thank You for the stress and frustration I experience when I try to play God, for it reminds me of my own humanity and need for a Savior. 5. Hope hurts but it also heals. The hard and holy work of holding onto hope is worth it. 6. A time of waiting does not equal wasted time. Because the story is continuing to unfold (and because newsletter subscribers just heard all. the. things. about this over the weekend), I won’t go into it too much here. Here’s what I’ll say: Although waiting is rarely fun, enjoyable, or what we want to do, it is not wasted time. For the entirety of this Spring season, my family has been waiting and hoping for health-related answers. 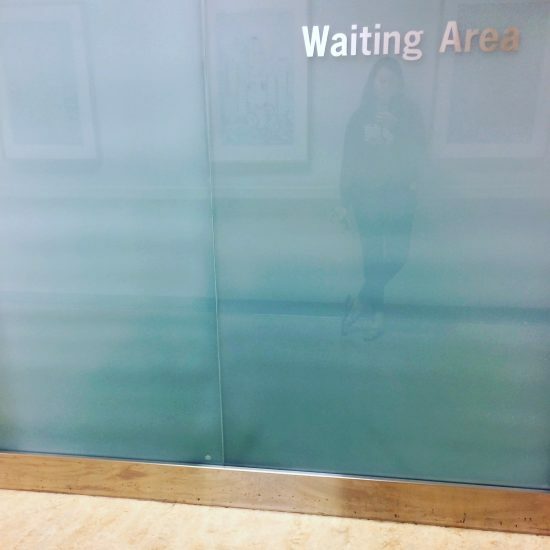 Several weeks in the hospital and dozens of tests eventually led to four more (seemingly just as long) hours of waiting this past Tuesday. After months of remaining quiet out of respect and obedience, I shared a small update and a prayer request on Instagram. And y’all… the comments. The prayers and texts and private messages that kept coming even days later. I can’t tell you how grateful I am, how much every single one has meant to me and my family. As I type these words on Tuesday evening, one week after surgery, my dad is still in the hospital. There were a few setbacks, but he’s doing much better and will likely be home in the next day or two! We’re still waiting for an important test result, but that’s okay. 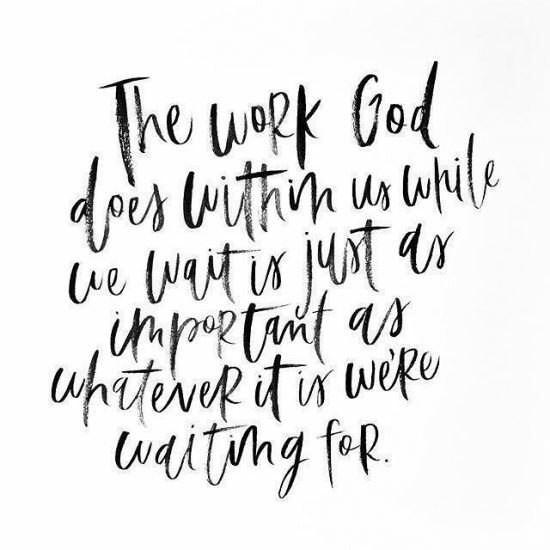 Because the work God does within us while we’re waiting is just as important as whatever it is we’re waiting for. 7. God is always preparing us for the next season. As we go through life, we grow and shift and become more fully ourselves, but ultimately we continue to re-learn and re-member all that God so patiently teaches. I mentioned at the beginning that while working on this post, I paused for a moment to review what I learned this past Winter. The chaos didn’t end when the calendar flipped from February to March. If anything, it was actually the calm before the storm, preparing me to fight back with singing, to always be ready with worship on my tongue, and to declare Him good no matter the outcome. When I posted this list in February, I didn’t know I would once again show up to Instagram and humbly ask for prayer. But God knew. 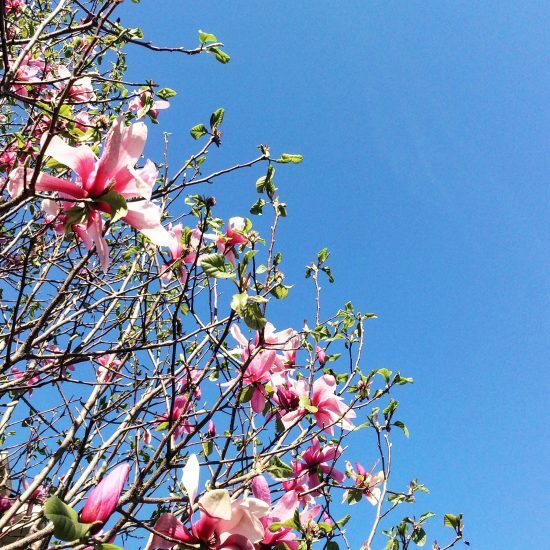 He was fully aware of what Spring would hold, and therefore knew exactly what I needed to learn last Winter. He was good, kind and faithful in both seasons. Even when I didn’t understand His ways. Even when I still don’t understand His ways. 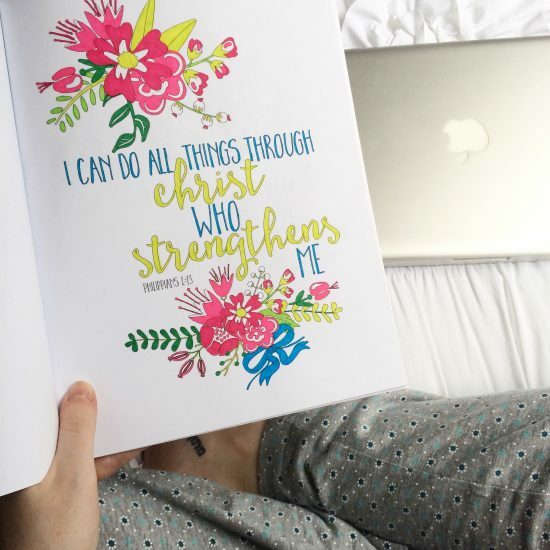 So I’ll keep on keeping track, paying attention and making lists of what He’s teaching me — both big and small, important and seemingly ordinary — because somehow it all matters in one way or another. I’m visiting from Word Filled Wednesday. I love #4! Plus the idea that waiting time is just as important in God’s plan as what we’re waiting for. It seems like wasted time, but it’s not. Oh, and I love chips in my sandwiches! I used to do that as a kid. I don’t have sandwiches much anymore, but I do like chips in them when I have them! Minus the chips on sandwiches. Love this: Sometimes progress looks like chaos. And this: When I’m stressed from trying to control something, I am not living in my role. Aaaaand this: Hope hurts but it also heals. Oh…and pretty much everything else (I’ve got to try the chips in the sandwich thing…I didn’t even know it was a thing). So glad you stopped by, Sarah. And that a few things stood out to you! Also, I totally had a sandwich for lunch and I put BBQ chips in it. Try it some time! Such a lovely post. I think we *might* be learning similar life lessons in the seasons we’re in. It’s encouraging to know I’m not the only one waiting and yet clinging to God’s promises. Thanks for keeping it real and I’m glad I found you via Emily’s link. great post, great lessons learned (or learning as the case may be!) – i hired a closet organizer for next Wed 10-12 bc it was a half-price special and I hate doing it. I’ll let you know how it turns out. and I too have been learning the peace of letting God do His role, and me, mine. It is freeing. It’s a little new in naming it so I will enjoy watching my processing these next few weeks until it sticks. thanks, kaitlyn and blessings on your soul and space and family. I loved this post so much I ordered your book. Thats for sharing.